The classic Christmas song has recently been met with controversy due to lyrics like “Say, what’s in this drink?” and the male singer’s refusal to let his female counterpart leave his home. Meanwhile, Will argues that the woman in the song is “contradicting herself” because she also says she’s had a very “nice” evening. 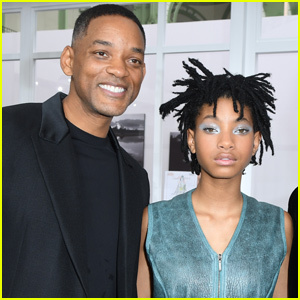 Willow finally gets through to Will when she says that “as a father” he wouldn’t want his daughter to be in that position. “She just got me. She tapped into it…She said, ‘As a father,’” Will says. Will Smith is back in the booth – and he’s addressing divorce rumors! The 49-year-old superstar uploaded a video on Wednesday (May 24) showcasing his brand new music. “Stop the divorce rumors and mind your damn business,” he declares on the song.